Did you know that hip labral injuries are on the rise? Tears can be a major source of pelvic and back pain, and early intervention can mean the difference between a repair and a hip replacement. Dr. Ginger Garner presents Differential Diagnosis & Integrative Management of the Hip at Alliance Physical Therapy this February. You will learn the fundamentals of integrated care via functional & integrative medicine and enhance your ability to differentially diagnose and manage hip pain, especially for those suffering from labral tears. Acetabular labral tears are reported to be a major cause of hip dysfunction in young to middle-aged patients and a primary precursor to hip osteoarthritis. The management of hip injuries in the athletic population “…has rapidly evolved over the past decade with our improved understanding of mechanical hip pathology.” (Lynch et al., 2013) Medical and rehabilitation differential diagnosis of the hip involves many options such as a labral tear, femoroactebular impingement (FAI), hip capsular laxity/instability, chondral lesions, septic joint or loose body in the joint. New technology allows improved identification of tears and arthroscopic surgical repairs, yet the time of injury to diagnosis is still often delayed, making the long-term prognosis for hip preservation poor. The risks of arthroscopic surgery, which, according to the American Academy of Orthopedic Surgeons, are equal to complication rates of open hip surgeries, coupled with the lack of long-term follow-up studies for arthroscopic procedures, makes conservative therapy a valuable tool. This 2-day continuing education course presents a holistic methodology for the recommended trials of conservative therapy covered in current literature. This course will give special attention to identification of differential diagnosis of specific tissues of the hip joint for identification of intra-articular damage or premature joint degeneration. The participant will be able to recognize high-risk populations, common musculoskeletal presentation of patients with hip dysfunction, and how to instruct in optimal recruitment patterns for prevention of long-range debility. 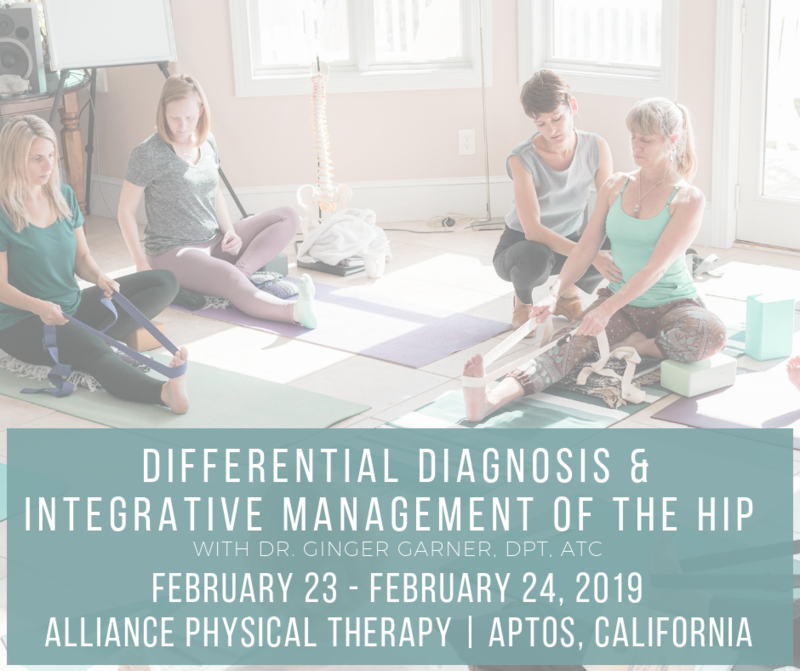 Secondary and differential diagnoses of the hip and pelvis will be addressed in order to help the clinician understand how conventional and integrative therapies can be used in combination to provide better outcomes. Hip labrum injury will be addressed in the following clinical categories: injury prevention and wellness, clinical evaluation and diagnosis, treatment and rehabilitation, and organizational and professional health and well-being. Current surgical methods will also be addressed in this continuing education course in order to provide the clinician with a well-rounded background in the management of labral injuries and related secondary lesions. Therapists in increasing numbers are working with patients who have hip labral injuries prior to and following hip arthroscopic and open surgeries. Utilizing a case study framework, this course will provide you with the opportunity to analyze the evaluation and intervention of the most current methods. This continuing education seminar is targeted to physical therapists, occupational therapists, physical therapist assistants, occupational therapist assistants, registered nurses, nurse midwives, and other rehabilitation professionals. Content is not intended for use outside the scope of the learner’s license or regulation. Physical therapy continuing education courses should not be taken by individuals who are not licensed or otherwise regulated, except, as they are involved in a specific plan of care. None; Participants should wear comfortable exercise clothes for this course. Demonstrate methods for differential diagnosis of hip injury. Describe the classification system of labral tears. Demonstrate provocative tests used in differential diagnosis of hip joint injury. Discuss current evidence-based medical and rehabilitation management for labral tears and related injuries of the hip in order to identify critical factors for intervention. In a case study format, analyze the biopsychosocial model of assessment for prescribing intervention. Identify integrative and functional medicine modalities for hip and related pelvic pain management. * No hotel rooms have been reserved for this event. These are nearby hotels, not ranked in any order or based on a recommendation.